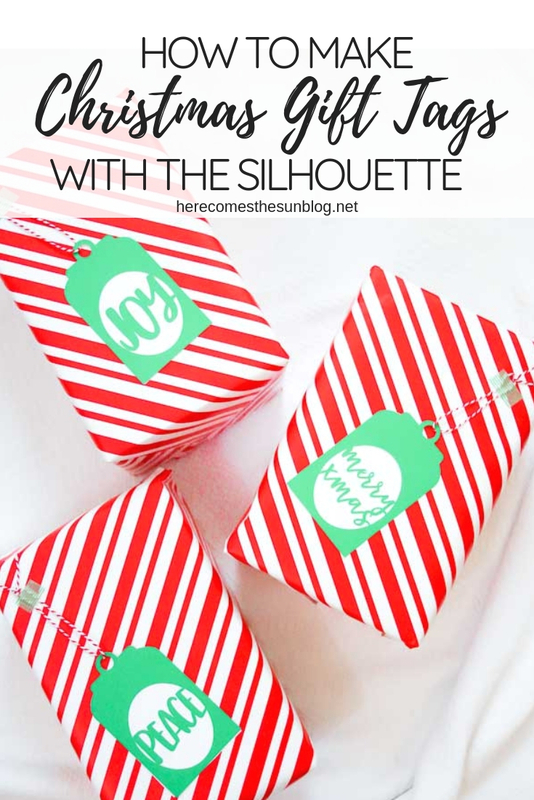 Learn how to make Christmas gift tags with a Silhouette machine. Every year I look forward to wrapping Christmas presents. I’ve got to say, I like wrapping them more than unwrapping them. 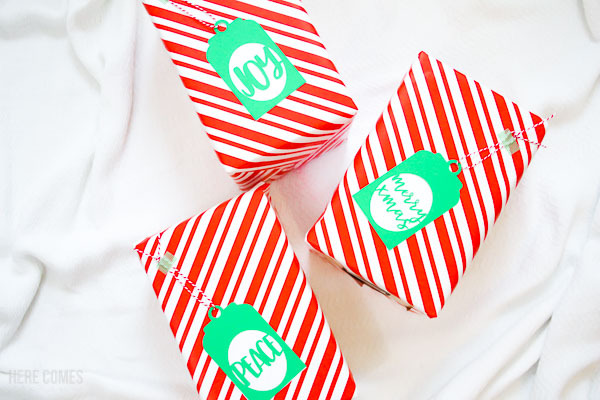 I love beautiful packaging and I love deciding what wrapping paper to use and I’m guilty of making sure all the wrapping paper under the tree matches so it looks cohesive. It drives my husband a bit nuts. When I was younger, my aunt would send us presents that were perfectly wrapped. Every pattern on the paper was perfectly cut and aligned, and the ends were folded into perfect points. I was in awe and vowed that when I grew up, I would learn how to wrap a gift like that. 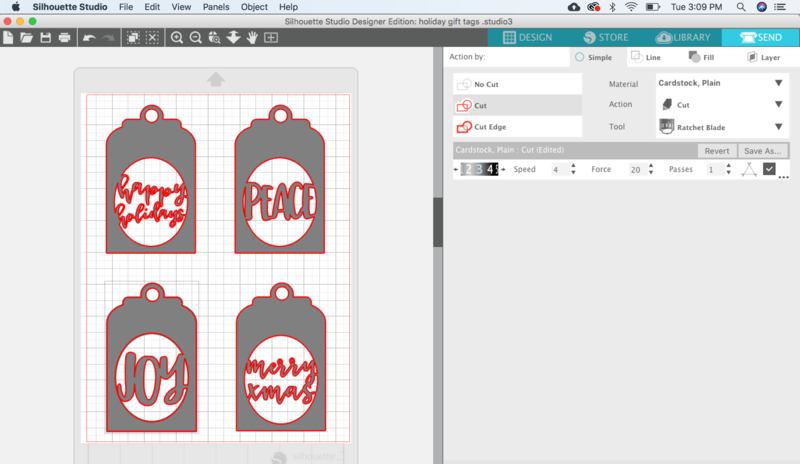 I have not mastered that skill yet but I can create some amazing gift tags. 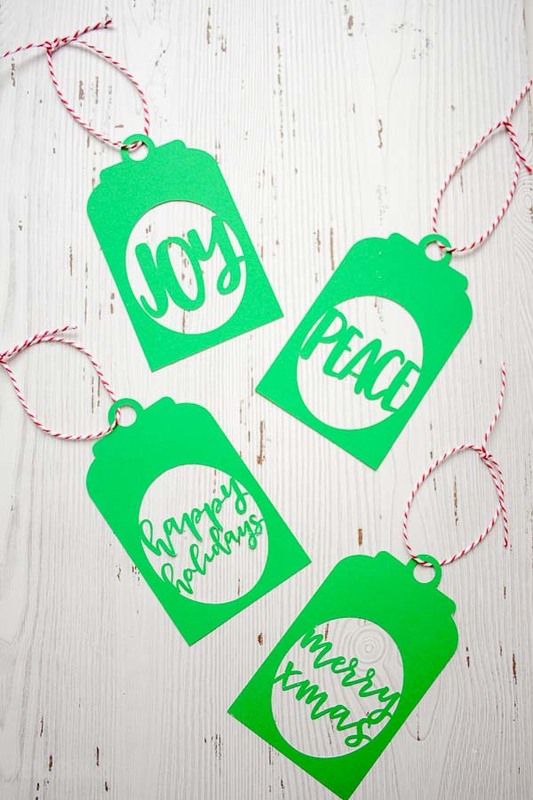 In past years, I’ve made washi tape gift tags, wine bottle gift tags and even Jelly of the Month gift tags (I’m looking at you Christmas Vacation fans)! 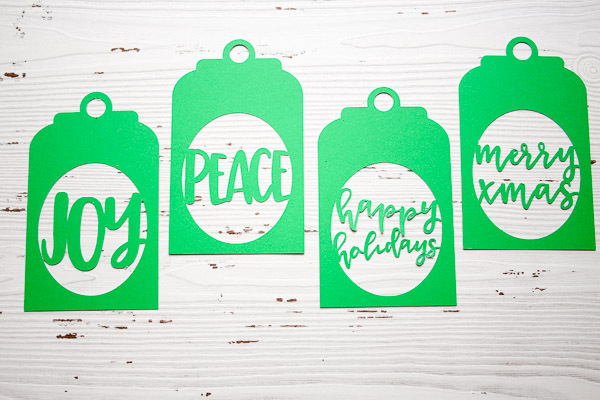 Today I’m going to show you how to make Christmas gift tags with a Silhouette Machine. 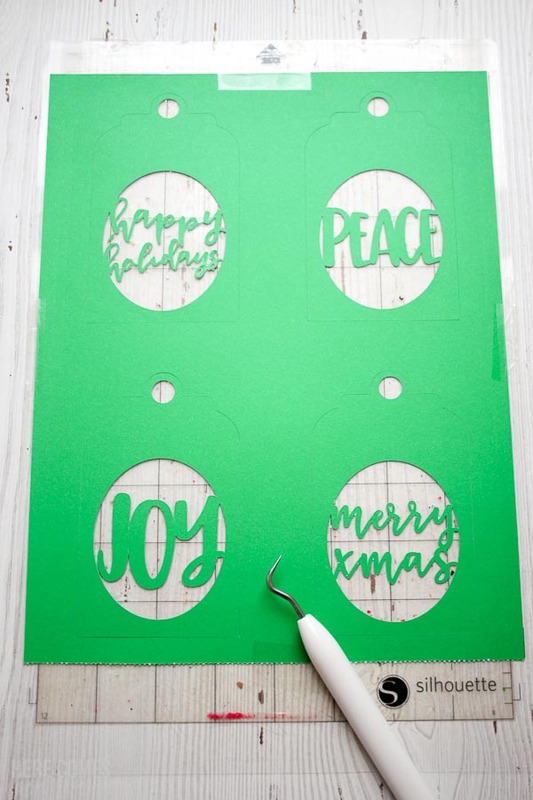 First, you will need the Christmas gift tags cut file. You can access the file in the resource library, below. Note that since this is a Silhouette tutorial, the file is in STUDIO format. Next, open the cut file in Silhouette Studio. It is sized to fit an 8.5×11 sheet. Hit the “SEND” button to open up the cut settings. Select each individual tag (they are not grouped together) and then click on “Cut”. Set the Material dropdown to “Cardstock, Plain” and adjust your ratchet blade to a “3”. Make sure the box next to the triangle is checked. This setting gives your design a cleaner cut in the corners. Place an 8.5×11 piece of cardstock onto your mat and hit the “SEND” button at the bottom. When your design is done cutting, gently weed out the pieces that are not needed. Note: the dot on the “i” in “holidays” will not be able to be kept since it is not attached to anything. Place some twine through the top hole of each tag. Place a piece of white cardstock behind the gift tag or leave it plain. I chose to use white cardstock so it would pop against the red and white presents. 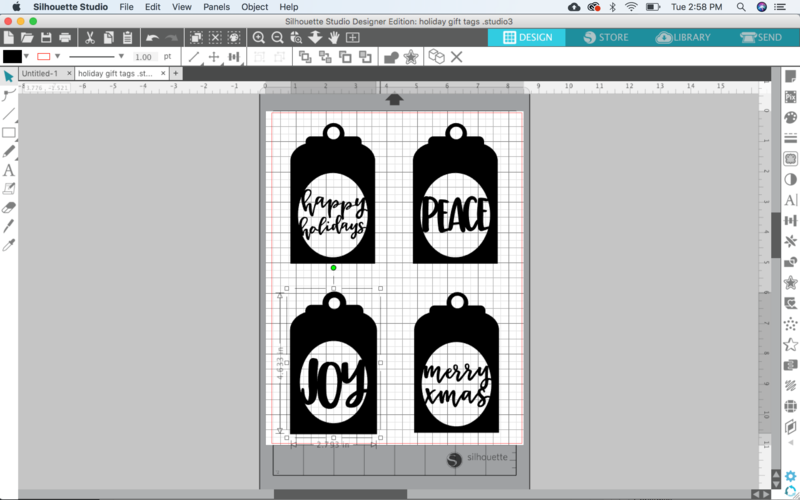 And there you have it…an easy way to make Christmas gift tags with a Silhouette machine!